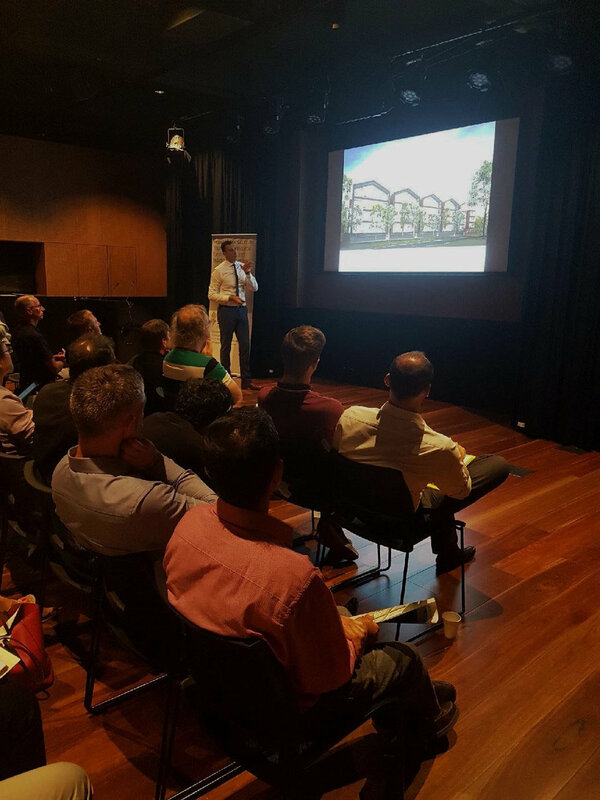 This week k20 Architecture Director Theodore Kerlidis presented at the 2018 WoodSolutions - Essential Exterior Timber Design Seminar held at Library at the Dock in Docklands. The event featured presentations from Australia’s leading industry experts. The event was a great success where Theodore shared his ideas and experience in his role as an Architect in shaping the built environment. A big thank you to the team at WoodSolutions for organising such a wonderful event! Theodore’s presentation featured five of k20’s award winning projects, which all have the common element- the use of timber externally. These projects were Port Melbourne Football Club Sporting and Community Facility, Hindmarsh Shire Council Offices, Ballarat Regional Soccer and Community Facility, McKenzie Street Age Services Centre as well as Eternity Life. Theodore provided his philosophy as well as his approach to eco-centric design, sustainability and local content, materials, quality, proper specification and working with the building users.